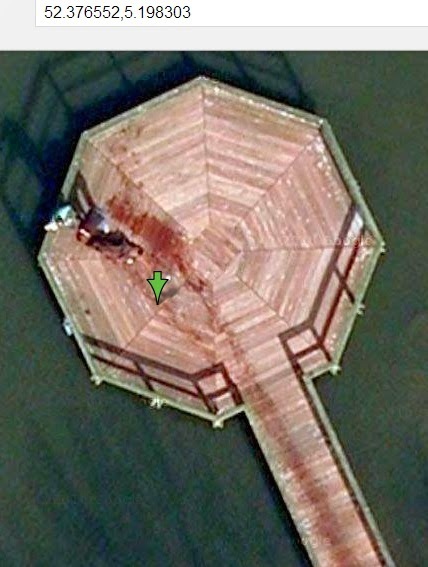 If you go on Google map 52.376552,5.198303. You will see a man dragging a dead body into the lake. 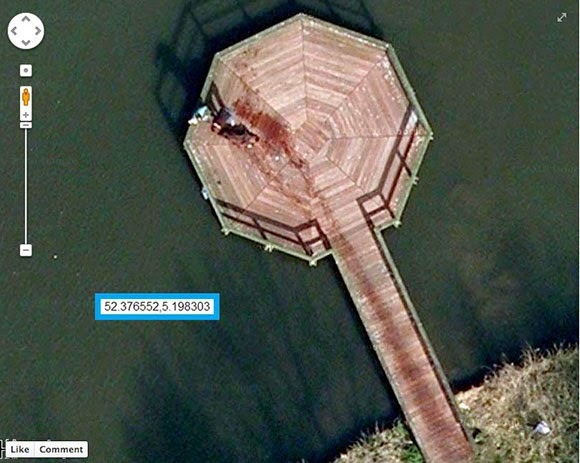 In April 2013 a meme was spread on the Internet that entering the coordinates 52.376552,5.198303 into Google Maps (a location described in that application as being the Beatrixpark in Almere, Neatherland) and Zoomingon the resulting satellite view would reveal an image of a man dragging a dead body into the lake(leaving a bloody trail behind him), as shown picture. I freaked out a bit when I first saw the image at the same time I was amazed that such a setting can be captured by Google Maps. It's like a scene from a horror film where two men were seemingly dragging a dead body leaving a trail of blood along the way. What will they do next, throw the body in the lake? Haha! Some say it's a dog, or a furry animal, some are convinced that it's a dead body. What do you think? Type it in the comment section below.